EDIT: Since I wrote this post I have had another kid- that’s 3 kids total and losing and regrowing my hair back 3 times! Click the picture below to see what I’m recommending now. The picture below is my progress in ONE MONTH. I wrote a post about how I grew my hair out after my last pregnancy, and I wanted to update you on how I’ve been doing with this one! Now that my youngest of two littles is ten months old, I am finally growing back my hair and wanted to share with you how I am getting it to grow back, how I’m styling it, etc. Hopefully if you are a victim of temporary hair loss, some of these tips can help you too! Interested in joining an exclusive, girls only private FB chat group? We discuss beauty, healthy recipes, life stuff, and more. Plus giveaways! Join my Girl Chat FB Group! Hair loss after both of my pregnancies happened between 3-4 months after I gave birth. Both my babies were born in September, so by the time my hair started shedding, the season had totally changed, and not only was I balding, but I was on to other seasonal hair problems, like my scalp shedding, and my hair being dry and brittle from the winter. I have had to really get in the mindset of using several products every time I washed my hair. I’ve always been a wash-and-go girl but when I was going through an oily scalp, dry ends, and thinning hair, it was hard to keep my issues straight! I got in the habit of using Head and Shoulders on my scalp, TIGI shampoo on the rest of my hair, rinsing, conditioning, and then masking just the ends. It took me a while to find the exact thing that was right for me, so don’t be afraid to experiment! So, hair care is really key! Make sure you are using the best shampoo, conditioner, and styling products you can get your hands on. I will share some of my favorites below! 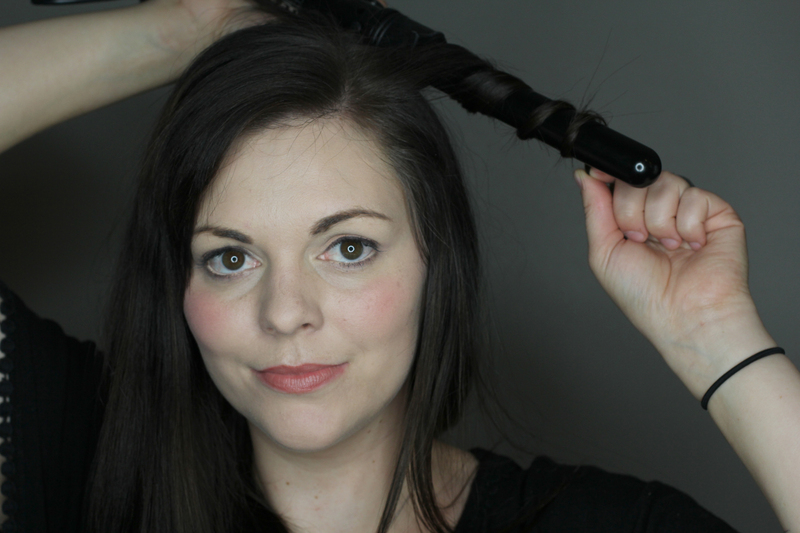 TIGI Resurrection is a line I’ve used and LOVED for the past ten years or more. Whenever I use a shampoo or conditioner that disagrees with my hair, I come back to this one afterwards, because it feels like home. It makes my hair feel clean, soft, and hydrated, and as far as I’m concerned, it’s perfect in every way. The Renee Furterer Okara Protect Color Radiance line is also really awesome. Sulfate free and perfect for color treated hair, but a little on the pricey side. Read my review here! One last option I’ll share with you is the Biolage Exquisite Oil line. Because of the moringa oil in the formula, it makes my hair impossibly soft and shiny. I also love using the Moroccanoil Intense Hydrating Mask on my hair once or twice a week in the shower. The Klorane Terrycloth Lined Shower Cap proves to me that all shower caps are NOT created equal. This thing is awesome. I wash my hair only a couple times a week, so for the showers in between, I’ll wear the cap. It’s double sided so I’ll wear it with the plastic facing out when I’m showering, and when I want a mask to “cook” on my hair for a while, I’ll wear it with the terrycloth facing out and the plastic facing my hair. Ok, we’ve covered how to take care of your hair when washing it. Wash sparingly and with amazing products, mask it, etc. Now I want to share with you a few products that will speed the hair growth along. 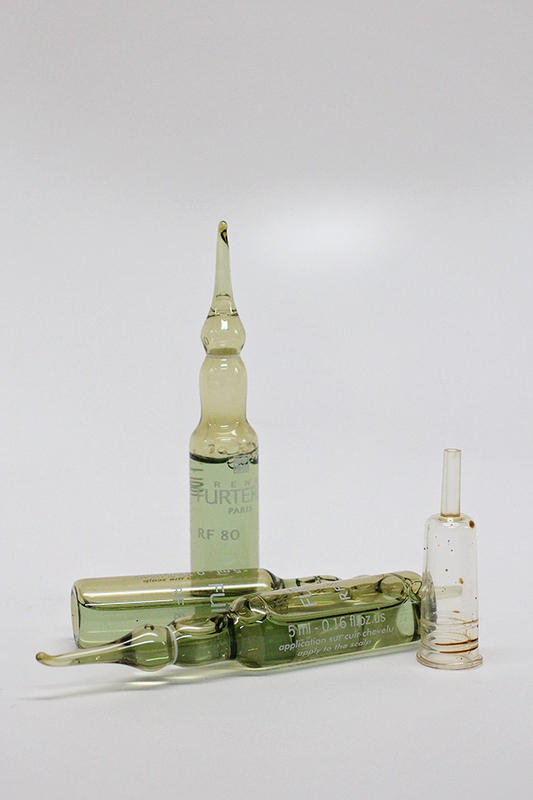 RF 80 Concentrated Serum: I used these post partum and I swear they work! They have a slight scent of sage and lemon and are scientifically proven to help sudden thinning hair triggered by various factors. 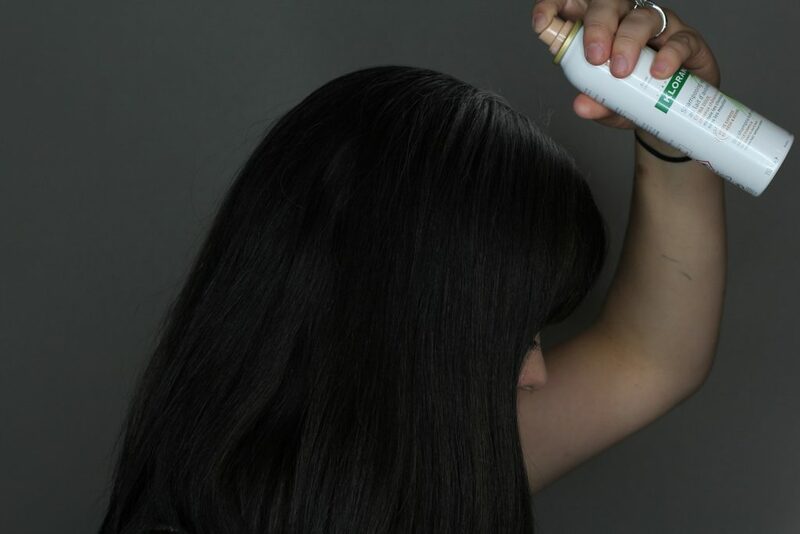 It works to encourage the growth of stronger hair and improve hair structure for thicker and faster growing hair. I don’t love that you have to snap the glass tops off and it can get kind of messy, but pouring this liquid over my thinning hair patches made a difference over time for me. There are lots of products for hair loss that claim they are perfect for post pregnancy but make sure if you are nursing that you investigate the ingredient list and discuss it with your doctor first. I used the RF 80 for hair growth after my first baby, and now that I’m looking up the ingredients, methionione, according to WebMD does not have enough research to be considered safe for pregnant or nursing moms. So check out the ingredients below and decide if it’s right for you! I have been doing research on essential oils recently, and I’ve read that there are several oils that help thinning hair. I would be more inclined to go this route if you’re a nursing mom. Here are some oils that may help when massaged into the scalp. From my experience, the best thing you can do is just wait it out and prevent more hair from falling out. After both pregnancies, I experienced hair loss around the 3 month mark and now that I am 10 months postpartum, you can’t tell I ever had an issue with hair loss. Hair grows and it’s just a temporary thing. Avoiding anything that could cause more hair loss has been key for me as well- excessive brushing, over washing, and heat styling are all out for me. I also take care to place my pony tail at different heights when I put my hair up so I don’t cause breakage at the same place over and over again. Disguising my hair loss was a big part of my life for a few months! I will show you some of the tricks I had up my sleeve. 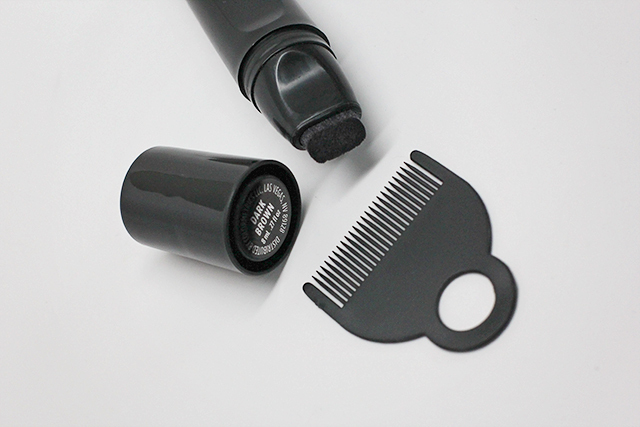 Touchback Hair Color Marker is a hair color that stays until it’s shampooed out. This would be great for coloring over the little fuzzy hairs that come in while your hair is growing back. I know most of my hair fell out around the hairline and something like this is helpful when my hair has to be back that day. It goes on kind of sheer so I think it would be just perfect for the tiny baby hairs. 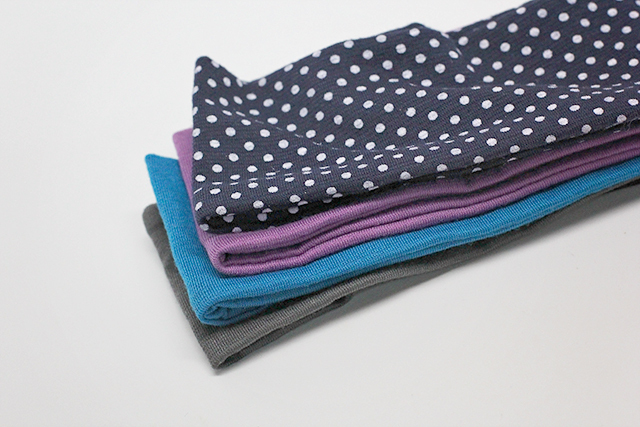 Headbands are so easy to wear and these thick ones covered most of the problem spots for me. I became a headband junkie in the midst of hair loss. They are especially helpful to me when I am going to the gym and need to pull my hair back but don’t want to have my bald spots on display. Depending on where your hair is thinning, strategically placed clips or parts in your hair may also work! Klorane Tinted Dry Shampoo with Oat Milk is a lifesaver while I’m trying to style thinning hair. It’s tinted to blend into dark hair better. Spraying this on my roots helps to add volume to the hair between washes. I find it gives me a little bit of texture and lift at the roots that I need and I’m able to style my hair around the thinning parts a little bit better. Having a go to hair style during the process is really helpful. Having to style your hair around bald spots or thinning patches can be stressful. 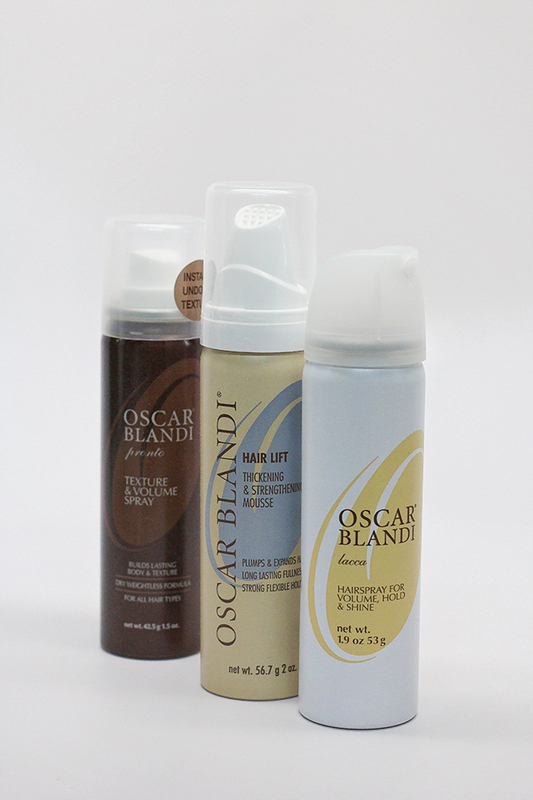 During this process I would typically try to use Oscar Blandi Thickening & Strengthening Mousse to add volume to hair where I needed it. On day one after a wash, I would apply this before it dried, and the first and second day my hair would be completely down. The third day I might have pulled my bangs back or curled my hair, and the fourth day (last day before washing) I would pull my hair into a messy bun. I love my ISO Clipless Curling Iron which is what I’m showing here. I have a few others that I love, including the Sarah Potempa Beachwaver that I’ll be reviewing soon, so keep your eyes out for that. 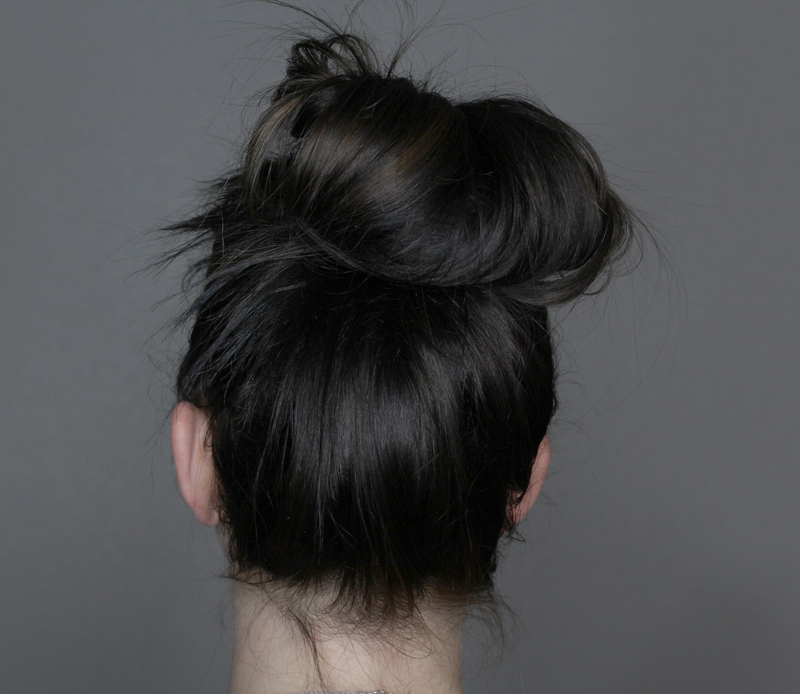 A messy bun is a good last-day style before washing again. I just pile all my hair on top of my head and wrap the ponytail holder around a few times. Experimenting with color might be helpful to you. Darker hair looks fuller. Highlights can add more dimension. Doing something to refresh your hair might be just what you need for an extra confidence boost during the hair growth process! Parting your hair strategically, cutting bangs to hide thinning patches, and wearing headbands are all really helpful ideas! Just remember it’s temporary. It’ll grow back soon! Go to the same hair stylist throughout the process. He or she will have a vision for your hair and disguising things or cutting a certain way to accommodate the hair growing back. I can’t imagine explaining the whole process to different stylists over and over throughout the process. Stick to one person! I hope some of these tips have helped you! 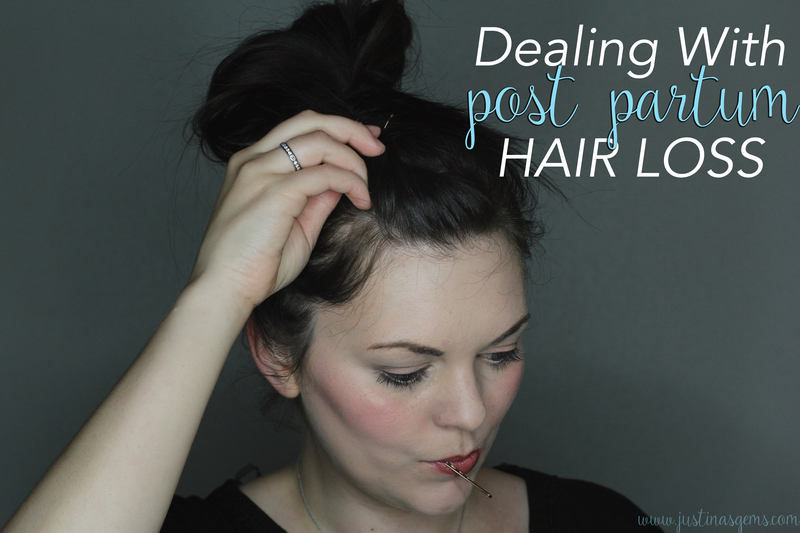 Have you ever struggled through post partum hair loss? How did you deal? *This post contains press samples, products I bought for myself, and affiliate links throughout. Hi Justina, love the shower cap. Trying to decide between this one by klorane and another of the same quality. Can you let us know if it’s snug enough to keep moisture out from the shower? Thanks for great tips! It’s snug but a little moisture gets in there. It still works great for me though!